Just a little of us know how to design spaces that we have, specifically condos or apartments, am I right? Some would just put their furniture elsewhere just for the sake to fill out the spaces provided. But it sounds too boring, right? Others might as well simply do nothing with their small and unorganized apartments. Well, that kind of thought is totally wrong! 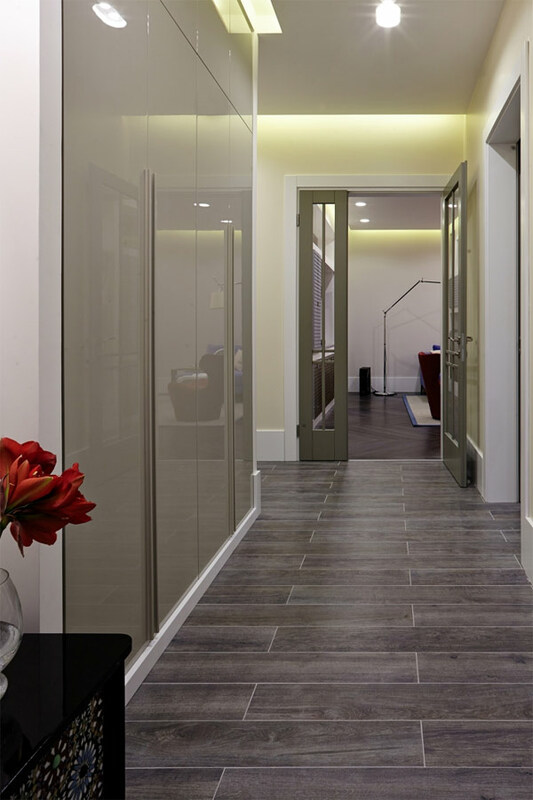 Today, we will give you concepts that will inspire you to put your apartments on trend. I know you will be amazed and somehow would be moved from your chairs knowing that there are many things that you can add up to your spaces. 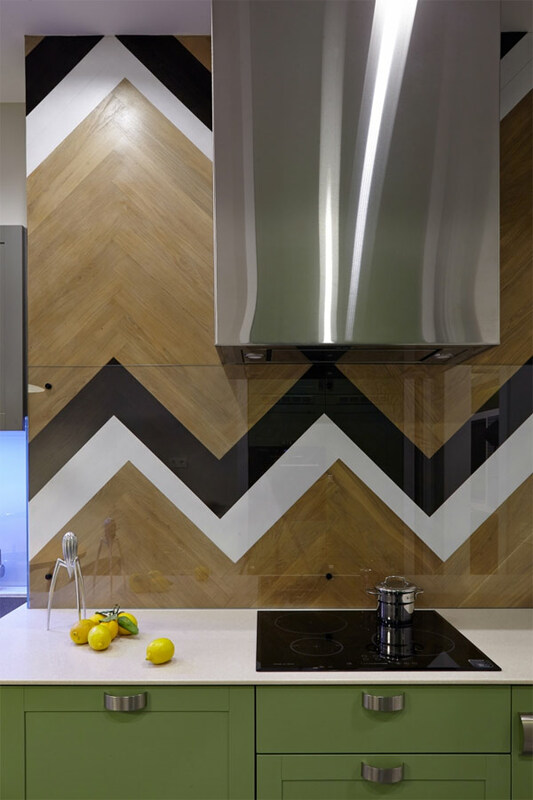 Apartment Vetrova, a residential type, is located in Kiev, Ukraine. 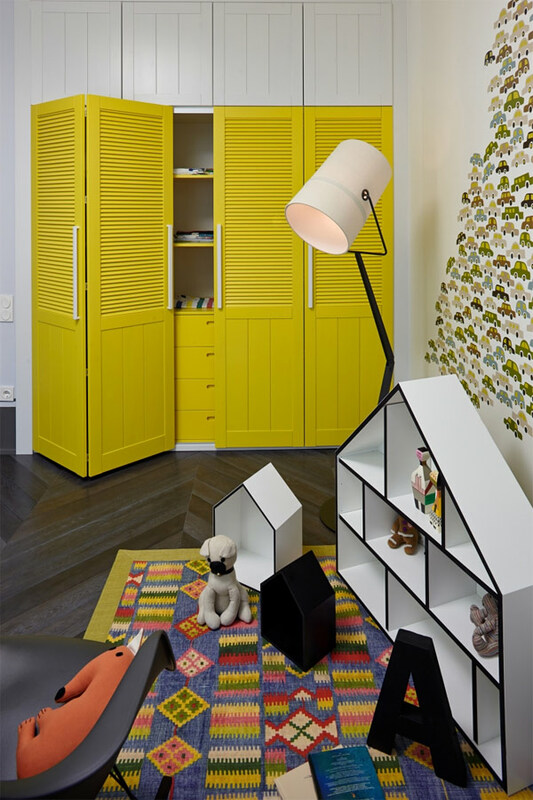 It is inspired with colorful interiors that offer rich and elegant details. The project spreads over a surface of 120 square meters and is on the fourth floor of a new house in the historical part of city. 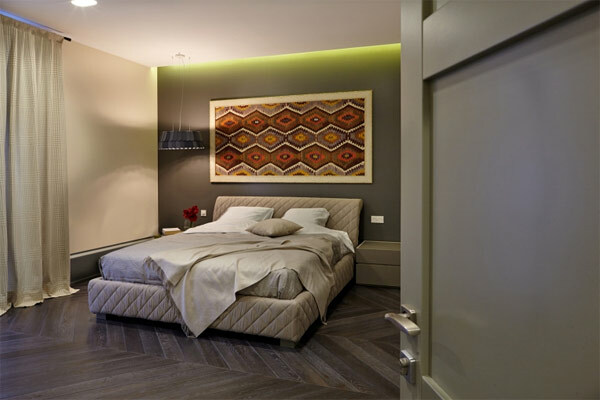 The designer worked with a creative team and added a dressing in the main bedroom, high-lighted personal bathroom and the extended guests’ restroom to increase the overall functionality of the loft. The living room and the dining area are the main sections of the apartment with natural materials and furniture creating a minimalist yet vibrant ambiance. 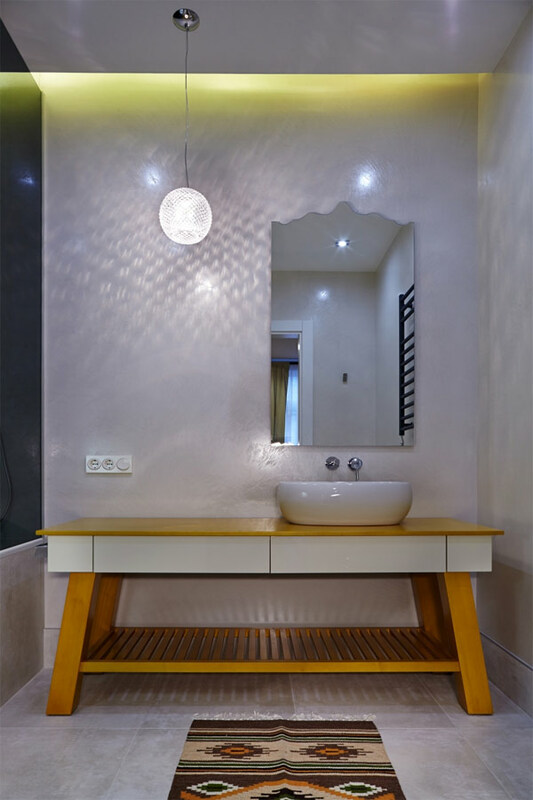 Simple touches of paints, matched with LED lights are very inviting for visitors! For those who have limited spaces, it might better to provide a small couch or lounge chair together with carpets and side lamps to design your living room perfectly. Adding frames of paintings on the wall can give additional accent of style. You can achieve an elegant ambiance with those simple yet exquisite chandeliers placed above center tables for tea or coffee time. 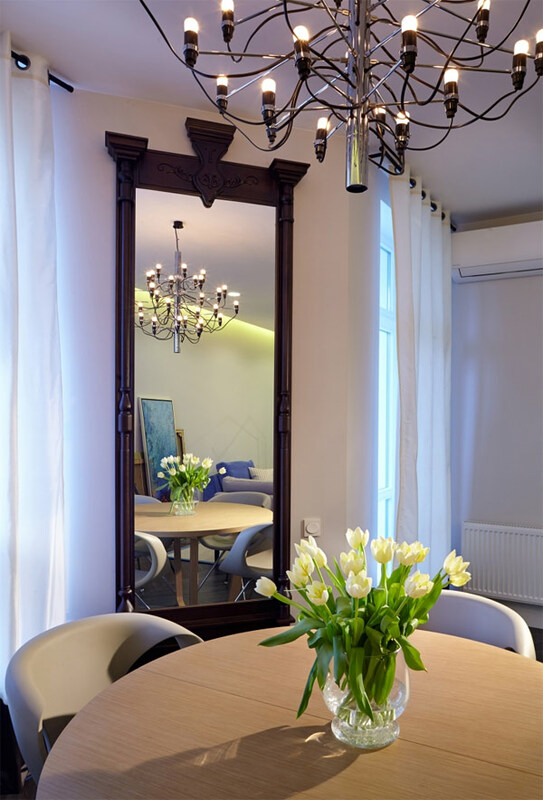 Add a touch of antique furniture, just like that large mirror which is very sophisticated! Kitchens are much better when well-organized provided with those built-in cabinets for storage. This set of electric cooktop and range hoods are perfect for limited spaces and achieve a clean setting. Welcome to the master’s bedroom! 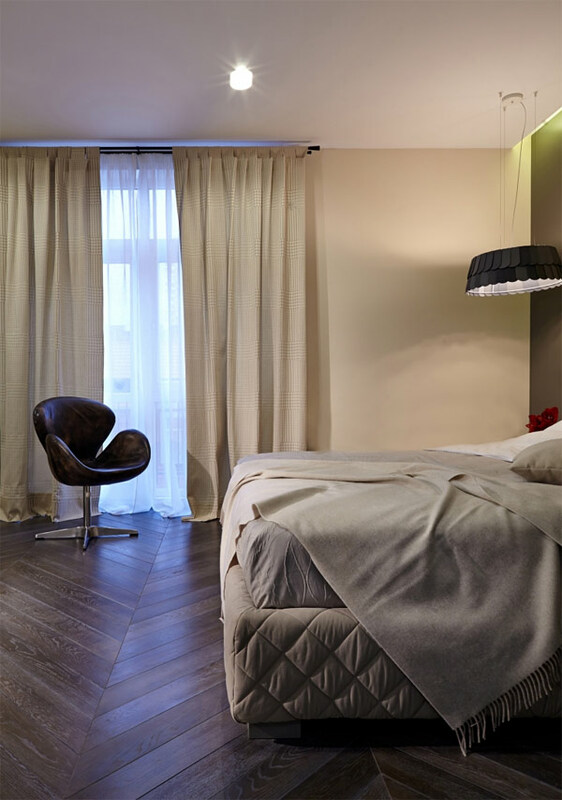 It is simply decorated with hanging lamp and mosaics on the wall that conveys a restful sleep. Lounge chairs on the side of the window behind those sheered curtains are perfect for your mellow-dramatic moments. Oh, yes! What a cool design for your kid’s room. 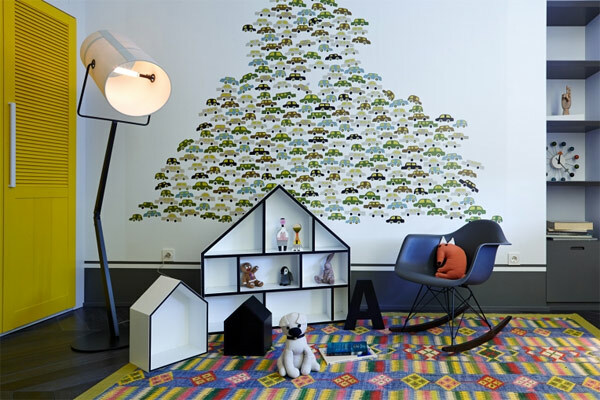 Decorated with a colorful carpet, cute stuff toys and very wide wall art, just what kids would love to see. 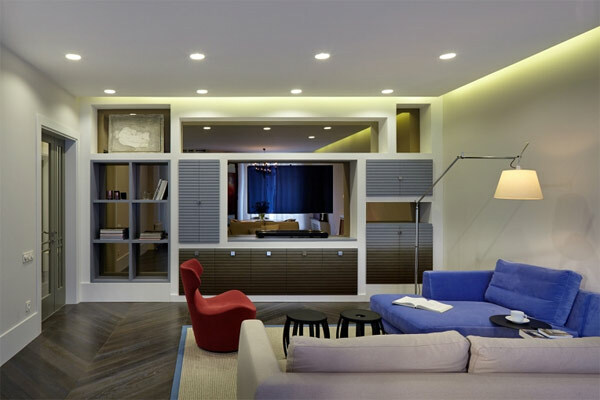 This built-in beds customized with stuff storage underneath provides a spacious area. Built-in cabinets really conserve spaces. Try to paint it with lively colors especially for a kid’s room. Really got limited space for bathrooms? Not a problem though, add a modern sink so it can be stylish. 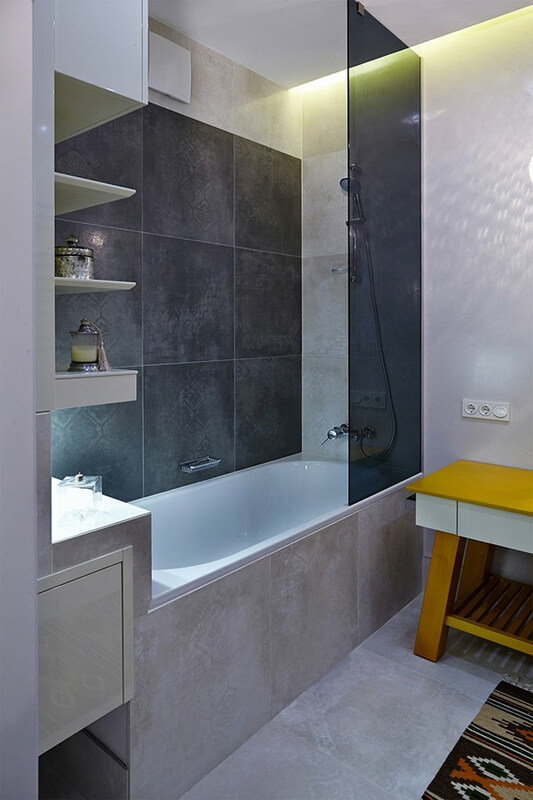 Who says there is no space for bathtubs? Brilliant minds of designers can still enjoy a warm bath. 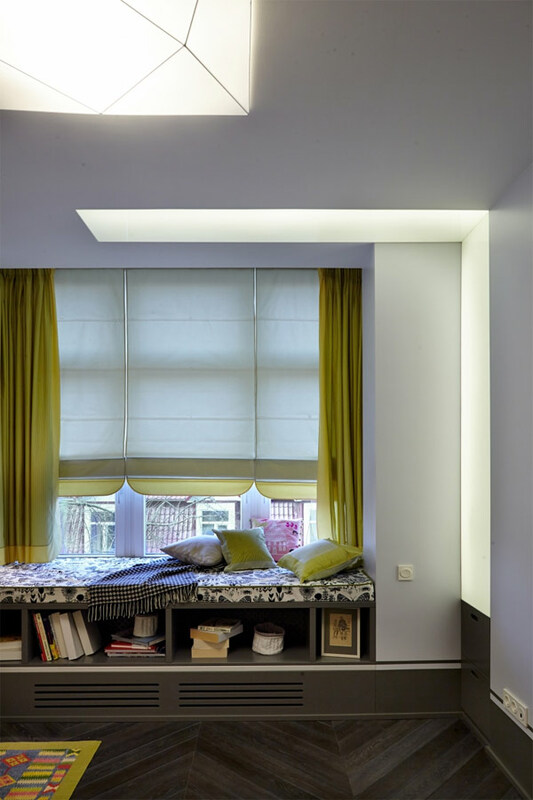 The materials and colors are placed in a homogenous manner but each room has its own personality. 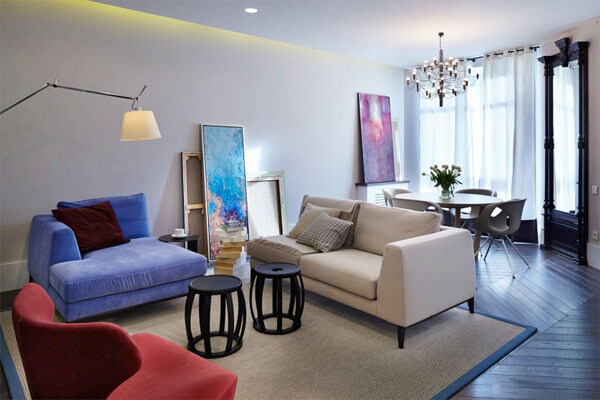 The designer, Rina Lovko, gives a very stylish and artistic interior where she was not afraid to mix bold colors to create a truly unique effect. The decorations enrich the spaces with paintings and mosaics created by famous artists to complete the bright interior and for the final touch of the project. See? It was conclusively an excellent conception. 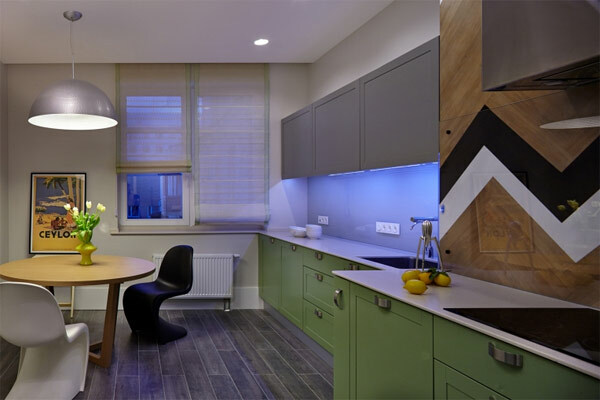 Are you ready to redo your apartments with the trend? Great idea! Finished a double-degree course in education, major in English and have devoted his time teaching in a private school. Aside from being an educator, he is also inclined to drafting, architecture, fashion and interior designing. This invokes him to read more about them and also inspire him to write about his interests.